Not what Dr. No’s screenwriters had in mind. Concluding our look at an early 1962 version of Dr. No’s script provided by Bond collector Gary Firuta. The first James Bond movie required a top-notch James Bond villain. The screenwriters of Dr. No envisioned an entrance for the title character that was different than what audiences would eventually see. The January script by Richard Maibaum, Wolf Mankowitz and Johanna Harwood species the scene is “POV” (point of view) of Dr. No. 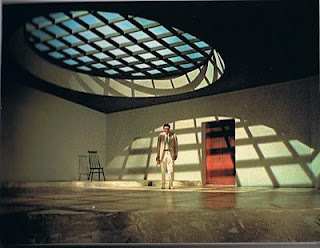 This, of course, is the scene in the finished film where Dr. No’s lackey, Professor Dent, rushes out to the villain’s headquarters in broad daylight to tell his superior how Agent 007 refuses to be killed. After Dr. No says, “Good afternoon….Professor,” the stage directions add this detail. In real life, production manger Ken Adam came up with a set, that maximized his minimal resources. The striking set created a strong visual. Dr. No’s voice is heard, but the audience doesn’t even see a shadow. The tarantula Dr. No provides Dent seems to materialize out of nowhere. 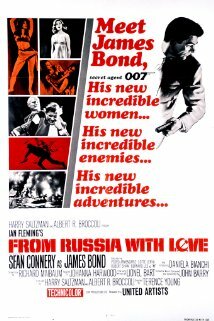 Meanwhile, the writing team also was faced with adapting one of Ian Fleming’s most memorable passages, where Bond meets Honey(chile) Ryder. The sun beats down on BOND as he sleeps. In the distance, as if in his dreams, he can hear a WOMAN SINGING. What he sees: HONEY, standing at the water’s edge, her back to him. She is naked except for a wisp os (sic) home-made bikini and a broad leather belt with an undersea knife in a sheath….Her skin is deep honey cooured (sic)….She stretches contentedly like a cat in the warm sun. 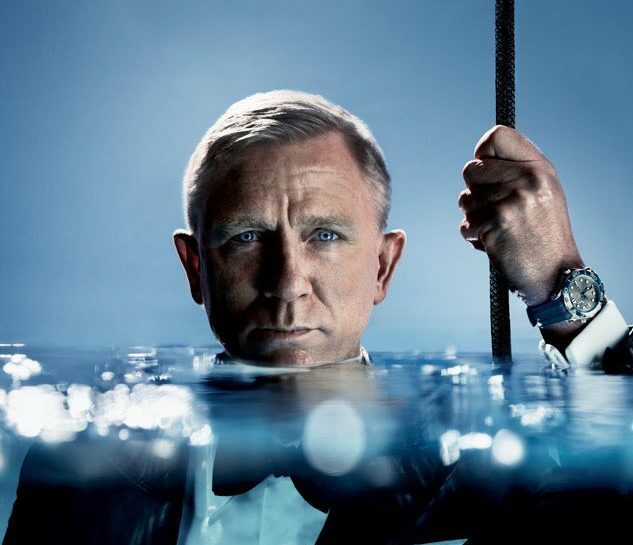 BOND – appreciates what he see (sic), in a moment he takes up the calypso refrain. At the end of the script, as in the finished film, Bond is in a boat with Honey that’s out of fuel. But before the pair can make out very much “we hear the throbbing of an approaching motor launch.” It’s Felix Leiter, of course, spoiling their fun. You picked a helluva time to come to the rescue. 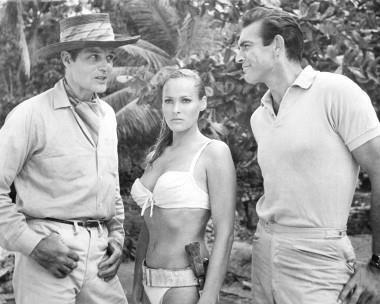 Jack Lord with Ursula Andress and Sean Connery. Continuing our look at a January 1962 Dr. No script supplied by collector Gary Firuta. Dr. No’s screenwriting team of Richard Maibaum, Wolf Mankowitz and Johanna Harwood opted to bring in Ian Fleming’s Felix Leiter character into the film version of Dr. No even though he wasn’t in that novel. Their challenge: establish the James Bond-Leiter friendship within a few minutes of screen time. By the time Dr. No was nearing production, Leiter had appeared in the novels Casino Royale, Live And Let Die, Diamonds Are Forever, Goldfinger and Thunderball. Bond and Leiter had shared a number of adventures in the novels, including Leiter providing a major financial assistance in Casino and nearly getting killed in Live And Let Die. But that back story wasn’t of use for the screenwriters. They would have to invent their own storyline of the forging of the Bond-Leiter friendship. 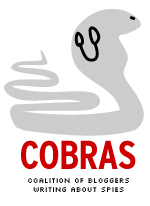 In the film, it gets off to a rocky start. The audience doesn’t realize it’s Leiter observing Bond at the Kingston airport. Bond gets the best of the encounter, losing Leiter and Quarrel, who are following him. 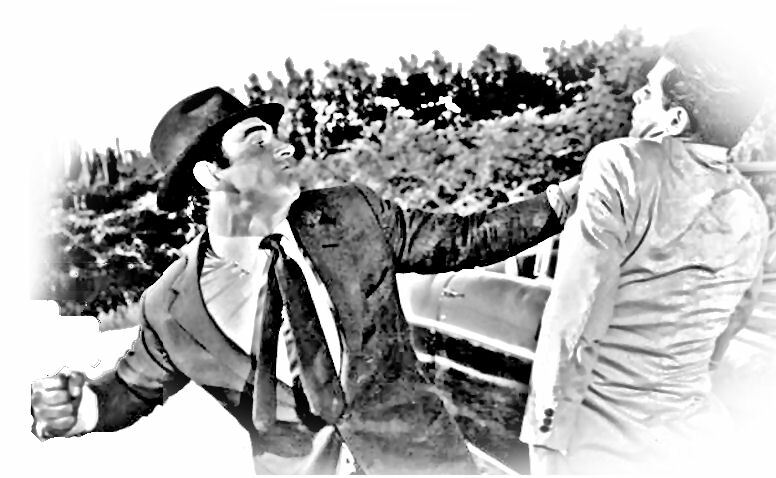 Bond catches up to Quarrel and gets into a fight. Here’s how the script describes what happens next. Behind him, and unknown to him, LEITER has appeared in the door. He gently takes BOND’S wrist and equally gently shoves a Walther into his kidneys. Gently, bud, gently. Let’s not get execited, eh? BOND stiffens. His position is now untenable and he’s not a bloody fool. LEITER stretches round in front of him and takes his gun. He tooks at two identical weapons with slightly raised eyebrows. The exchange that takes place is similar to the finished film but there are some interesting stage directions. “Limeys” can be pretty touch about trespassing. The TWO MEN grin at each other. From here on out, the two men are friends, although there’s an occasional edge. Later, Leiter “thoughtfully” asks whether Professor Dent is a bad professor or a bad liar. Bond “grimly” says he intends to find out which. When Bond finally shows up to head out to Crab Key, Leiter is “growling” when he asks where Bond has been. UPDATE: A reader (see comment below) questions whether that’s Jack Lord in the photo above. 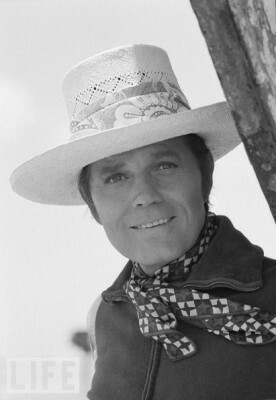 Lord tended to favor wide-brim hats in hot climates (occasionally on camera in Hawaii Five-O, but normally away from the set). You can see a photo from his Hawaii Five-O days. 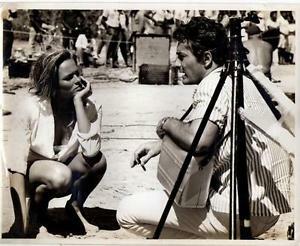 Meanwhile, here’s a photo of John Derek and Ursula Andress on the Dr. No. set. UPDATE II: Below are some outtakes from a parade broadcast with Jack Lord. 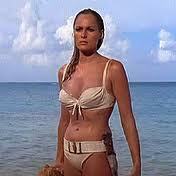 By early 1962, the screenwriters of Dr. No finished their fifth draft of a script adapting Ian Fleming’s novel. That draft, dated 8-January-1962, greatly resembles the film that would ultimately premier that fall. But there were still elements that either got dropped or significantly altered during production. What follows is a summary based on a copy supplied by Bond collector Gary Firuta. The draft’s title page lists Richard Maibaum, Wolf Mankowitz and J.M. 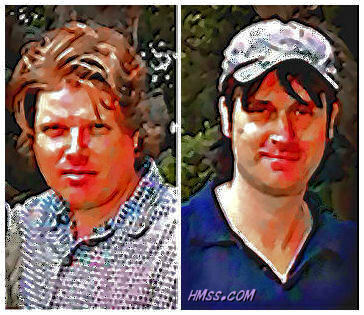 Harwood as the writers and Harry Broccoli and A.R. Broccoli as producers. 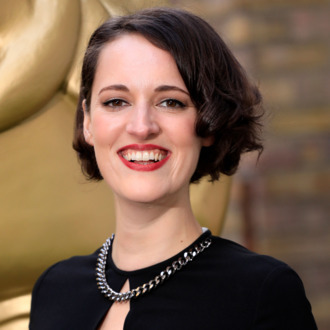 The production company name is listed as Eon Film Productions Ltd., later shortened to Eon Productions. The early sequences are very similar to the final product, but scenes have additional dialogue than would make the final cut. In the script, Strangways realizes, too late, he’s in danger. “The tapping of the sticks” of the supposedly three blind men “ceases. STRANGWAYS turns partially back to the, the moment of silence registering.” (Yes, there appears to be a dropped word.) The stage directions specify Strangways is hit between the shoulders, small of the back and the pelvis. The driver says, “Hurry it up, boys…” rather than the “Hurry, man, hurry!” of the final film. Meanwhile, inside the hearse, the killers put on “roomy black alpaca coats” and replace their baseball caps with black top hats. At Strangways house, Mary Prescott, “STRANGWAYS’ secretary and No. 2,” is described as “a striking-looking young woman despite her tailored dress.” As described in the stage directions, she only sees one of the assassins before she dies. The game continues. On page 11, Sylvia introduces herself as “Trench…Sylvia Trench.” Bond lights her cigarette. And I admire your luck, Mr…. ?